Seven parks in Bristol have been recognised as some of the best green spaces in the country. The Green Flag awards are given every year and 2010 is the first time that Netham Park in east Bristol has been given the accolade. Other parks on the list include Blaise Castle Estate, the Downs, Queen Square, Troopers Hill, St Paul's Park and the Ashton Court Estate. Parks in North Somerset and South Gloucestershire have also come up trumps. 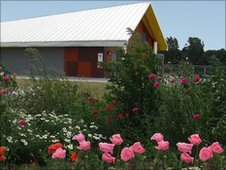 Jubilee Park, Watchouse Hill in Pill, Uphill Hill and Abbots Pool in Abbots Leigh in Weston-super-Mare and Wick Golden Valley Local Nature Reserve have also been recognised. Netham Park has been the subject of huge improvements over the last few months, totalling about £2.5m. Alex from Friends of Netham Park said: "This is amazing what they've done in this park, it really is. "Back in the 1990s, when I used to walk the dog round here, every night there was a burned-out car and it [the park] was in a terrible state. "It wasn't really a park. It was a green area for the Sunday league to play their matches on. And Alex admits he's been shocked by the recent transformation. "What a difference," he said. "We've got this lovely pavilion. They've done proper drainage. It's just lifted it up. "There's a kiddies play area now. It's an amazing place now." 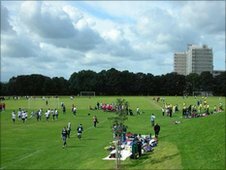 Jamie Roberts, Bristol East parks manager at Bristol City Council, said: "We still have some very, very good parks in the east area - particularly with St George's Park and Eastville Park. "But I believe this park was particularly neglected and it's had a major capital investment which has turned it round. "The pavilion's been funded by many external agencies, which includes Sport England, and there's been some match-funding from Bristol City Council." 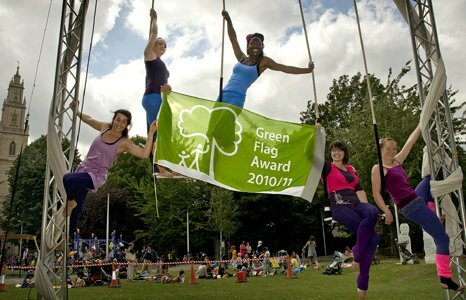 So what will the Green Flag award actually mean to the park, and the people of east Bristol? "What it means it that everybody in this area has a super park to use," said Gary Hopkins, Bristol City Council's cabinet member for the environment. "All the different parts of the community have got somewhere that's good and it's recognised. "We want to maintain that status and we want to increase the number of Green Flags. "I think it's a testament to the park service in Bristol that we haven't got just one or two showpiece parks, that they're spreading right across Bristol and that's the key thing."